Investigators have retrieved the cockpit voice recorder (CVR) and flight data recorder (FDR) from the Ethiopian Airlines Boeing 737 MAX 8 that crashed minutes after taking off from Addis Ababa on Sunday. Ethiopian Airlines confirmed the two critical pieces of equipment from flight ET302, operated by 737 MAX ET-AVJ, had been found and recovered on Monday. All 157 passengers are crew were killed in the accident. As investigators continue to try to determine the cause of the accident, the United States Federal Aviation Administration (FAA) on Monday issued a Continued Airworthiness Notification to the International Community (CANIC) regarding the operation of the Boeing 737 MAX 8 and MAX 9. The notice said the FAA it was supporting the Ethiopian Accident Investigation Bureau and had its own technical advisors at the crash site. Further, the FAA said it was too early to determine a cause of the accident and whether there were any parallels with the crash of a Lion Air Boeing 737 MAX 8 in October 2018. Ethiopian Airlines CEO Tewolde Gebremariam inspects wreckage from Flight ET 302 outside Addis Ababa. In the Lion Air incident, flight JT610, operated by 737 MAX 8 PK-LQP, plunged into the Java Sea shortly after the aircraft took off from Jakarta. All 188 people on board were killed in the crash. Following the crash, the FAA issued an emergency airworthiness directive (AD) on November 7 to operators of Boeing 737 MAX aircraft, which called on them to address procedures in the event of pilots receiving erroneous angle of attack sensor information. The Lion Air investigation also canvassed the role of the Maneuvering Characteristics Augmentation System (MCAS) that was introduced on the 737 MAX, which is the fourth generation of the Boeing 737 program. The MCAS helps push the nose down to reduce the risk of at the aircraft stalling in response to a high angle of attack (AOA) by tilting the horizontal stabiliser. Pilots can override the system by manually adjusting the trim. The FAA CANIC said that since the Lion Air accident it had validated that airplane maintenance and functional check instructions on Angle of Attack (AOA) vane replacement were adequate, conducted simulator sessions to verify the Operational Procedures and validated AOA vane bench check calibration procedures were adequate. It had also reviewed Boeing’s production processes related to the AOA vane and Maneuvering Characteristics Augmentation System (MCAS). Further, the FAA said it has also overseen Boeing’s completion of the flight control system enhancements for the 737 MAX. “The FAA anticipates mandating these design changes by AD no later than April 2019,” the FAA CANIC said. Indonesia’s National Transportation Safety Committee’s (NTSC) preliminary report found the pilots of Lion Air flight JT610 were battling a “flight control problem” before the aircraft crashed. In a separate statement, the FAA said it “continuously assesses and oversees the safety performance of US commercial aircraft”. “If we identify and issue that affects safety, the FAA will take immediate and appropriate action,” the FAA said. VIDEO: Ethiopian Airlines staff mourn the 149 passengers and eight crew killed on flight ET302, from the Associated Press YouTube channel. While the investigation is ongoing, a number of 737 MAX operators and regulators have chosen to ground the type. Airlines that have said they are not flying the 737 MAX at this time include Aeromexico, Ethiopian Airlines, Cayman Airways, Comair and Royal Air Maroc. Meanwhile, the Civil Aviation Administration of China (CAAC) said it has suspended commercial operations of the 737 MAX among Chinese carriers. Chinese carriers that have the 737 MAX included the big three of Air China, China Eastern Airlines and China Southern, as well as the likes of Hainan Airlines, Lucky Air and Shenzhen Airlines. Meanwhile, Indonesia said it would temporarily prohibit the 737 MAX to be flown until inspections were carried out. Garuda Indonesia and Lion Air are the two Indonesian airlines which have the 737 MAX. Pilot unions are also weighing in. In Argentina, the Association of Airline Pilots said its pilots would not operate the Aerolineas Argentinas’ flights with the 737 MAX. Closer to home, the Association for Virgin Australia Group Pilots (VIPA) expressed confidence in the 737 platform. “VIPA continues to have the utmost confidence in the Boeing 737 and the rigorous training that Virgin Australia provides its pilots,” VIPA president Captain John Lyons said in a statement. The Virgin Australia airline group has 85 737-700/800 aircraft across its Virgin Australia and Tigerair Australia operations. Virgin Australia is also due to receive its first 737 MAX 8 before the end of the year and has plans to introduce the 737 MAX 10 in 2020. Captain Lyons said he looked forward to the introduction of the 737 MAX in the Virgin Australia fleet. “It brings outstanding commercial advantages to the airline and enhanced customer appeal,” Captain Lyons said. “Boeing has delivered more than 10,000 737 aircraft since it first flew in 1967, accumulating nearly 300 million flight hours with the lowest fatality rate of passenger airliners. Media reports said Boeing had received no data to warrant new guidance to airlines. “The investigation is in its early stages, but at this point, based on the information available, we do not have any basis to issue new guidance to operators,” Boeing told FlightGlobal. 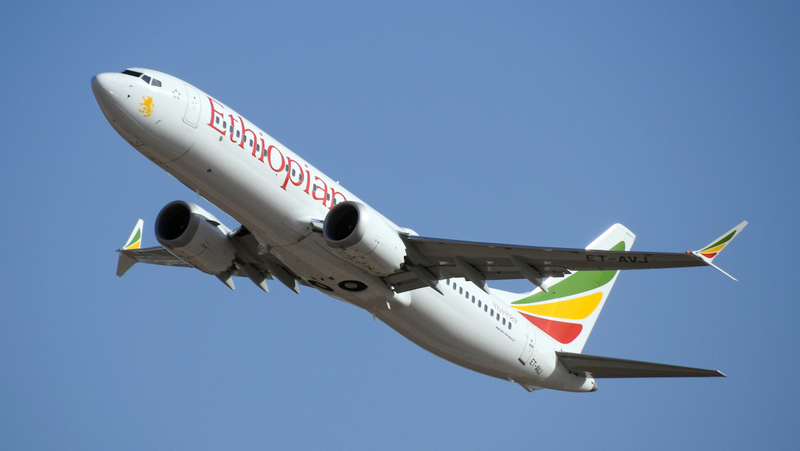 Our thoughts and prayers are with all those on board Ethiopian Airlines Flight 302 and their loved ones. Boeing is providing technical assistance to government and regulatory authorities in the investigation. What is the value add of any statement from Association for Virgin Australia Group Pilots (VIPA)? Though some of their members may be preparing for introduction of this type into service, the number they are flying is ZERO. Not even Boeing have come out with the marketing fluff that Captain Lyons is espousing here, I guess he wasn’t representing the pilots that were being blamed during the rudder issue. This is a tragic accident and the most good that can be done now is for the investigators to understand the cause to prevent a repeat, fanboy statements certainly can’t achieve that outcome. It was pleasuree to hear today that Eithiopean airlines has grounded its fleet. The world prides its self on its advancements in aviation control. But unfortunately this has come at a massive cost to human lives. So I would ask Boeing to ground all 737 Max 8s. It is only fair that we do this to respect the victims on both occasions that lost their lives in these unfortunate accidents. I know it saddens those who work in Aviation also. So we need to take some time out on this aircraft. Boeing can pride its advancements, just look at the 787 family. While Air NZ and others have had engine issues the aircraft have remained safe. So lets get to the bottom of the issue and then issue a new directive for the aircract. Once testing has passed then the fleet can return to the skies. Thank you CAA & CASA, EU regulators for ensuring this fleet will be grounded. Lets not have planes dropping out of the sky. The world loves to travel so lets ensure so they can continue to do so in the safewest way possible. Lets do this right! !